Whether you require a chair or 200 modular units for your project, we at 4More Space are proud to help. We strive to maintain the very best reputation throughout the industry, going out of our way to meet your needs as our client. 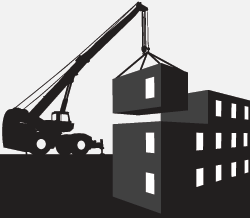 What this means is a full range of construction related services that we offer time and time again. It also means making use of our full range of additional services that help make us a one stop shop giving you a full turnkey package for all of your needs. These are the additional services can you take advantage of. As a part of offering our clients with a full turnkey solution to their construction and post construction needs, we have a number of experts offering you a full range of services under a single roof. Choosing from only the best, we have selected reputable suppliers that we have worked with in the past and trust to get the job done in a professional and timely manner. Reflecting our own company philosophy that has seen us become a recognisable name across the country, these experts know the modular building industry and are able to provide timely services when you need it. Temporary Power Generators: Providing power to your construction site during crucial periods of construction, our temporary power generators can bring electricity to where you need it most. Fire Alarms: Every construction site requires competent fire alarm installation and calibration. 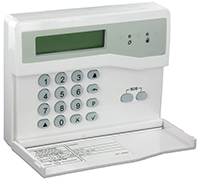 Intruder Alarms: Keep your new construction safe with intruder alarms that offer a mechanism for ceasing and desisting illegal activity. 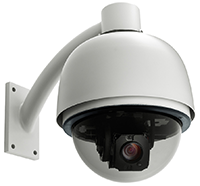 CCTV: Providing cameras where you need them the most, our professional sub-contractors will install your CCTV cameras in no time. 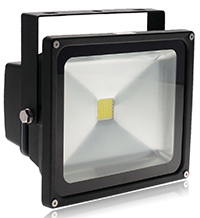 Flood Lights: Working by day or night, floodlights offer you versatility on your construction site.